Sailors! Prepare Your Wishlists For 70000TONS OF METAL 2018! Attention all Sailors from around the world! 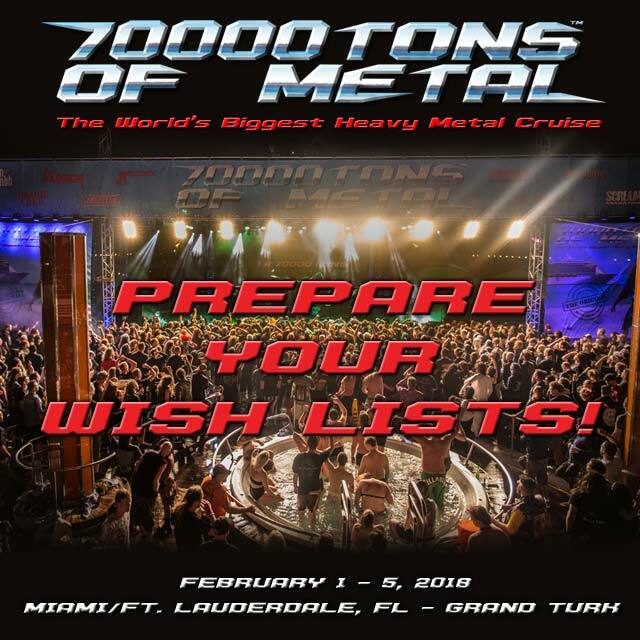 Have you made your wishlists for 70000TONS OF METAL™ 2018 yet? We want to know who you’d like to see on board Round 8 of The Original, The World’s Biggest Heavy Metal Cruise, as we sail to Cockburn Town, the Capital of the beautiful Turks and Caicos Islands. How about you post your personal wishlist in the Official 70000TONS OF METAL forum, THE place to connect with fellow Metalheads from over 70 different countries around the globe? ← #SurvivorsAsk: Interview ARCH ENEMY for 70000TONS.tv!